As some of you may know we are expecting baby #2 in March. We have started visiting the doctor every 2 weeks. Today was our 32 week check up and all is going well! Wyatt was able to tag along and hear Waylon's heartbeat (160 bpm). We are still discussing our options on a VBAC or a repeat c-section. Our current plan is to not scheduled a repeat c-section until at least the 22 but probably more like the 27th ( since Wyatt was 5 days late). We have ordered the crib set but haven't put up the crib yet or even made room for it! Needless to say we have lots left to do. But I have worked on a few projects for the lil man. 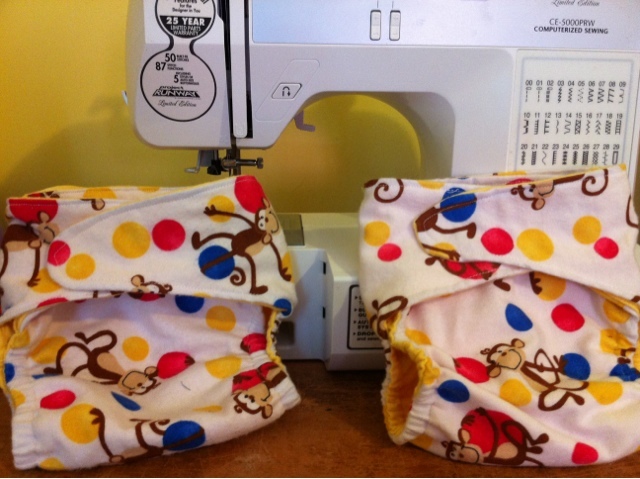 Wyatt and I cut out and made 4 one size pocket diapers. Yes we cloth diaper our children(more on that later)...not necessarily to save the planet but to save $$$. 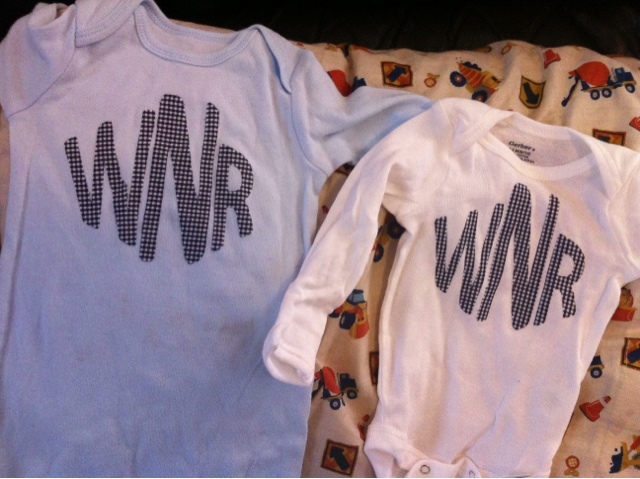 I also made some outfits for the hospital with his monogram. We have about 8 weeks until we meet Waylon so I suppose I should get busy! !